AVL provided several 4K resolution animations for SURFnet's 20th Anniversary celebration in May of 2008. Based in Utrecht, Netherlands, SURFnet "enables collaboration in higher education and research," with over 160 member institutions. 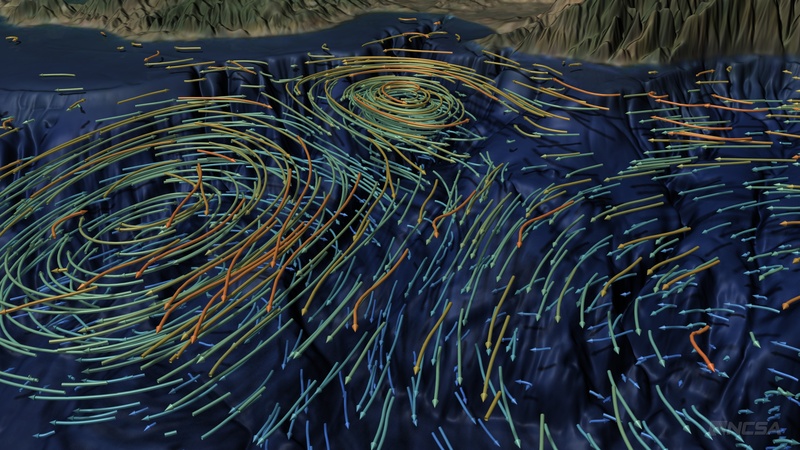 Visualizations that AVL shared for the event included a GLIF 2008 network animation, Monterey Bay Ocean Flows, Flight to the Center of the Milky Way, and F3 Tornado within a Supercell Thunderstorm Simulation (Stormchaser Perspective).